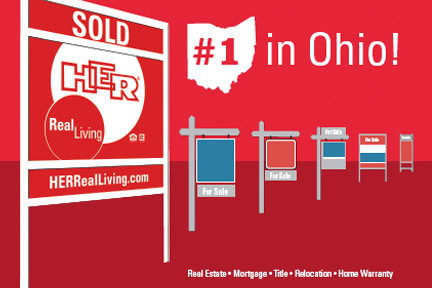 Breaking NEWS Columbus home sales for January 2013…. came out last week. The Columbus Board of REALTORS (the official voice of real estate in central Ohio, they say so) released the info on January 2013 home sales through the Columbus Board of REALTORS mls (multiple listing service) on February 21, 2013. The Columbus Board of Realtors released a press release to members (I am one) and the media. You did not see a post about it here but the Breaking News was added on ColumbusBestBlog.com on February 21, 2013. The Columbus Board of REALTORS spoke last week and said “homes are selling in central Ohio.” And the Columbus Board of REALTORS (a trade organization ) also said home prices are up and inventory (homes for sale) are down. Yes I should have jumped on the story… Do you see Breaking News on the sidebar of ColumbusBestBlog.com ? It’s there. 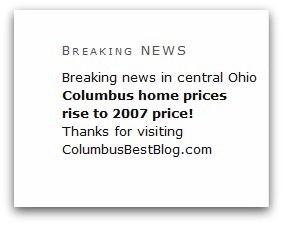 One of the things that little widget on the sidebar tells you is Columbus home prices rise to 2007 price! Pedon is Chris Pedon, the President of the Columbus Board of REALTORS. + is up and – is down… that is a minus not a dash. Yes there are some areas in central Ohio where January 2013 home sales were NOT up from January 2012. Those stats are from the Columbus Board of REALTORS and those are for residential sales ( single family, condominiums, etc. places people live.) Residential sales does not tell you the story of commercial real estate. This does not show you land listings. Looking for a central Ohio home? Search the inventory of homes on my HER Realtors site. The image at the top is an OLD Real Living HER (or is that an HER Real Living? Big HER circle, small Real Living… I think that was 2002 to 2007 in the evolution of the company that started out as HER Realtors) ecard. Breaking Columbus real estate news last fall? The central Ohio brokerage is HER Realtors again.